These past few weeks have been very busy and I’m not sure that’s going to change for a while. Today is my family baby shower, so I’m on my way home (a few hours south) to celebrate with the women who have known me all my life, lots of them have known me since my Mom’s baby shower! Anyway, I’m looking forward to the girl time before the men all come out and join us for a barbecue. A long, good day ahead. You all know I am a reader, but I consciously made the decision to not read pregnancy books. I have the What to Expect book and read it as I progress through the stages, but I know so many friends who have become obsessed with books that tell them how to have the best pregnancy. I’m all for a great pregnancy, I’ve been following the doctor’s orders (ok, ok, except for the weight part :)) and have felt pretty good. And the best part for a worrier like me? By not reading all of the ways that I could ruin the baby before he or she draws a breath or all the things that could go wrong I have had a relatively stress-free pregnancy so far. I mean women have been doing this for quite a while and somehow the human race has flourished so I think my body knows what to do. So, I haven’t really been seeking out baby reading yet, but I found Constance Marie’s blog by accident and have fallen in love. She is an actress, most recently known as George Lopez’s wife on his sitcom. She has a 15 month old daughter and posts candidly on her difficulties in conceiving to Mom groups to getting your body back. The post I found most helpful was greening your nursery. Did you know that all cribs in major department stores come from China and are sprayed with pesticide? The baby does put that wood in his or mouth! Anyway, the information is good and her writing style is engaging and full of personality. If you are pregnant or have a baby I think you’ll love her perspective. Here’s the link. 1. Eating for two 2. Books 3. Friends 4. Family 5. Autumn 6. Walks 7. Keeping busy 8. Ohio State football (first game Thursday) 9. My hubby and daddy-to-be 10. Blogger friends who take the time to read my posts, especially the ones I know by name because they leave comments or send sweet emails. I’m not passing this on to 10 people, but I’ll encourage you all to check out Constance’s blog and see if you find it refreshing too. 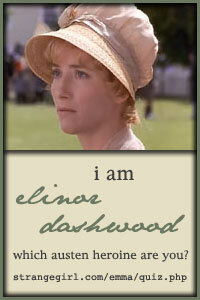 I’ve been busy watching the NCAA tournament the past few days so I am too busy to read or do anything productive. Both Ohio State and Michigan State won their first round games last night and will play tomorrow to reach the Sweet Sixteen. from Amanda at Life & Times of a New Yorker. 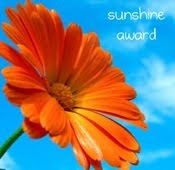 Gerber daisies are my favorite flowers, so I am very happy to receive this beautiful award. I would like to pass this on to a fellow Ohio State book blogger who I met yesterday for coffee 🙂 If you haven’t visited Bonnie at Redlady’s Reading Room you should stop by. from Alice at Hello, My Name is Alice. I’m passing this along to loyal commenter and Spartan fan Staci from Life in the Thumb. from Alice at Hello, My Name is Alice. This is going out to Em at The Many Thoughts of a Reader, who loves both the Buckeyes and the Spartans! from Natalie at The Book Inn and JoAnn at Lakeside Musing. from Alice at Hello, My Name is Alice. This one goes out to the ladies who passed these awards on to me. 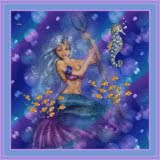 I love all of your blogs and hope people take the time to visit. I am so behind in acknowledging some of the awesome awards I’ve been given in the last few months. 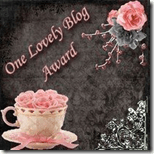 I am always so happy to receive awards and pass them along to other blogs I love. 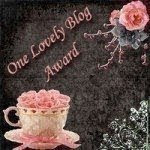 Please take the time to visit the great bloggers who passed these awards on to me and the blogs I am sharing them with. Carol over at Carol’s Notebook passed along this award to me and I am honored. Now, the rule is nominate seven other bloggers for this and then tell everybody seven things about yourself. 1. I’m a night owl. 2. This means I don’t like to get up before 9 am. 3. I can do this because I don’t have kids. 4. Or a 9-5 job. 5. I love coffee. 6. Right now I’m addicted to Seattle’s Best Peppermint Mocha Trio. 7. And I’m on my third cup. Alita at Alita Reads passed along this award to me. For this award, share 5 things you love to do and pass along to 5 bloggers. I love to read, walk, eat out, travel, and go to the movies. Carol over at Carol’s Notebook passed this along to me. This award is to honor certain bloggers that are kindhearted individuals. They regularly take part in my blog and always leave the sweetest comments. If it wasn’t for them, my site would just be an ordinary book review blog. Their blogs are also amazing and are tastefully done on a daily basis. I thank them and look forward to our growing friendship through the blog world. I’ll be passing this along to Melody at Melody’s Reading Room. She often takes the time to comment and I love visiting her blog. Check her out. Jenny at Jenny Loves To Read gave this to me. 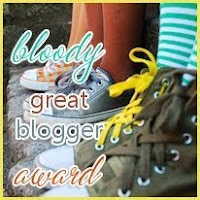 Here are the rules : Each Superior Scribbler must in turn pass The Award on to 5 most-deserving Bloggy Friends. Each Superior Scribbler must link to the author & the name of the blog from whom he/she has received The Award. Each Superior Scribbler must display The Award on his/her blog, and link to This Post, which explains The Award. Each Blogger who wins The Superior Scribbler Award must visit this post and add his/her name to the Mr. Linky List. That way, we’ll be able to keep up-to-date on everyone who receives This Prestigious Honor! Each Superior Scribbler must post these rules on his/her blog. I’m passing this along to Jenners at Find Your Next Book Here. If you haven’t already discovered Jenners in your blog hopping you are missing out! I received this from Em at The Many Thoughts of a Reader. Em is a fellow Buckeye fan so you know she must be cool 🙂 This month she leading a book discussion of The Awakening by Kate Chopin. I read this on college, but plan to read it again this weekend so I can participate. Why not join us? 6. Italy (I blogged when we were there). Wouldn’t mind going back often. This Let’s Be Friends award comes from Carol at Carol’s Notebook and I really appreciate because I think Carol is so warm and friendly and I’m glad she thinks I’m okay too 🙂 I also love that she reviews board games since I’m always looking for new fun ones. Thanks, Carol! Carol at Carol’s Notebooks passed this very cool award on to me. Stop by and say hi to Carol – she’s another Buckeye blogger. Answer the following questions using single word answers. Then pass the award to 5 other people and let them know. Many of you know that I like old movies and Audrey Hepburn. Well, I ‘ve been thinking of challenge for me (and for you if you are interested) for 2010 featuring the beautiful Audrey. And then I won a button from Katrina at Bloody Bad and decided to try it out. There are two I really like and I’d like to know which one you like best. Please leave a comment and let me know. Where is your favorite place to read a book? Our front room when the sun is shining in, our family room cuddled under a blanket or in the hot tub in the middle of the day (for when I’m feeling decadent :)). Bookmarks or dog ears? Bookmarks, but will dog ear if desperate. What is the best book you have read so far this year? The Absolutely True Diary of a Part-Time Indian by Alexie, The Hiding Place by Corrie ten Boom, The Secret Life of Bees by Sue Monk Kidd are the 3 I have given 5 stars to this year (I’m stingy). Do you like to snack while reading and if so, what is your favorite snack? Not really a snack. A glass of wine or a cup of hot tea is nice. I always hate to choose among so many wonderful blogs, but I do think it’s nice to showcase a favorite blog when I get the chance, so I’m awarding the Ohh La La! I Adore Your Blog! 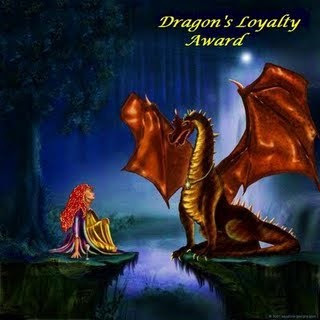 award to Heather at Gofita’s Pages. Her blog is fun and fresh and if you haven’t stopped by you should! This was given to me by Melody from Melody’s Reading Corner. Melody is a fellow Teaser Tuesday participant and in addition to her book reviews I love her photos for Wordless Wednsday. I am going to pass along this to alita.reads. Another Teaser Tuesday friend and I love her book reviews. And this comes from Laura from Laura’s Reviews. I love Laura’s book reviews and if you visit her blog you can still vote for the most romantic character in literature (my guy’s winning). I’m passing this along to Staci at Life in the Thumb. She’s a great commenter and her blog is a daily must for me. It should be for you too. And now for some fun. I can’t believe we are a week into November already, but that does mean I need to start thinking about gifts. And this year I’m going to participate in the Holiday Swap. I’ll get the name of another book blogger and get to be a Secret Santa. Some people dislike these silly holiday games, but I LOVE them. I’m not the best secret keeper when it comes to gifts because if I love it I can’t wait until the person gets it so they can love it too 🙂 But, I will try to keep my enthusiasm in check. If you would like to participate you have until November 11th to sign up and you can do it here. You do need to have a blog to participate. I only pass along an award if I have not received it before. Thanks to Heather! If you haven’t checked out Gofita’s Pages you really need to, like right now. Too bad you missed Pirate Week, but you can look back and read her posts. 4. Each Blogger who wins The Superior Scribbler Award must visit this postand add his/her name to the Mr. Linky List. That way, we’ll be able to keep up-to-date on everyone who receives This Prestigious Honor! – Put the logo on your blog/post. – Nominate & link up to 9 blogs which allure, amuse, bewitch, impress or inspire you. 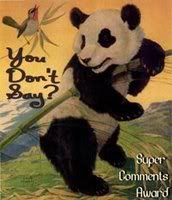 – Let them know that they have been splashed by commenting on their blog. – Remember to link to the person from whom you received your Splash Award. I’m awarding this one to Natalie at The Book Inn. This Lemonade Award came from Laura’s Reviews. I love her blog and you should check her out. And thanks to Sassy Brit for this bloody great award! I’m going to pass this one along to Cee Cee of BookSplurge and Staci of Life in the Thumb. And thank you Trisha for this Friendship Bear and Let’s Be Friends awards. She has lots of YA reviews and giveaways and is super sweet. I’m passing these two award on to Nise at Under the Boardwalk. Her blog is one I always look forward to reading. I am running very behind in accepting and showing my heartfelt appreciation for a few awards I’ve received over the last month-ish. I love receiving thoughtful gifts from fellow bloggers and passing them on to other bloggers I love. These first two awards are new to me. Thanks to A Few Minutes With Michael for giving me the Neighborly square and The Book Inn for gifting me the Outstanding square. I am passing this along to two of my best commenters, both of who I love touching base with everyday. Thanks to Gofita’s Pages for this Humane Award. I try to be kindhearted and it’s nice to be recognized. Thanks to the Bumbles for this award. Sometimes I feel creatively challenged so it is nice to know that I succeed more than fail! I’ve already received and passed on these last two awards. If you aren’t familiar with these bloggers you should really check them out. Thanks to Trish for this very sweet award. She is relatively new to blogging and already proving herself an asset. Blogs that receive the Let’s Be Friends Awardare exceedingly charming. These kind bloggers aim to find and befriends. They are not interested in self-aggrandizement. Our hope is that when the ribbons of these prizes are cut, even more friendships are propagated. Please give more attention to these writers. Deliver this award to eight bloggers. I’m passing this one along to The Burton Review. She just got a new look, so check her out. Thanks to Jenny for this wonderfully fun award! She is very sweet. Post 7 things you love. Give award to 7 other bloggers who are creative. 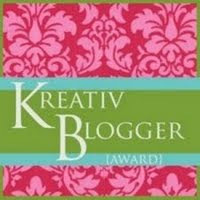 I’m passing along this Kreativ Blogger award to Fleur Fisher Reads. I love the books I find there. And I received this Lovely award from Betty At Betty’s Books. She’s just revamped her blog, so take a look. I’m passing this along to Iwriteinbooks. She is a recent discovery and I am loving her book reviews. And Heather at Gofita’s Pages passed along this very cool award. I’ve just found Heather and think she has a very fun blog. I’m passing this along to Beth Fish Reads. She’s a favorite of mine. I really appreciate all the love from my fellow bloggers! Thank you all so much! !